At Spot Studio we like to think of our readers as smart, inquisitive individuals who always want to learn. That’s why we’ve brought you this roundup of the latest news in the world of eCommerce. From tips and tricks to help upselling, to keyword research and SEO, abandoned carts and better welcome emails, these are guaranteed to make your business better. In the world of eCommerce, where numbers and stats are kith and kin, it’s easy to forget that you’re dealing with actual real life human beings and not just ‘users’. Making an immediate connection with these people, on a level that appears to be personable – even though, frankly, it isn’t – is a sure fire way to forge a strong foundation with your client. But how can you do this? How can you create a personal connection without coming across as overly formal, or even a little weird? 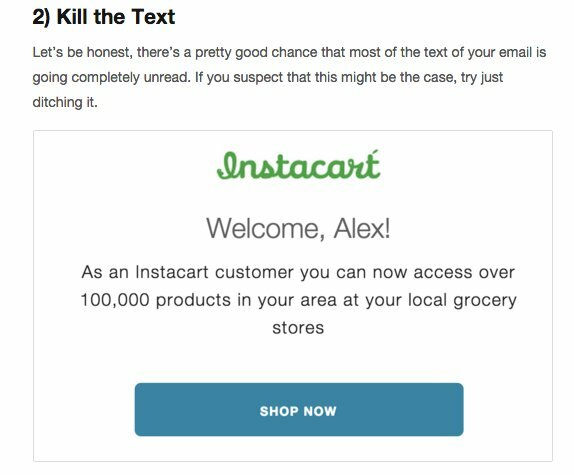 The following blog from Kissmetrics will give you 9 steps to creating that better welcome email . Just remember to test, test, test! Ideally primed to cross-sell, Amazon are kings of this technique, offering ‘Frequently Bought Together’ items that users find impossible to resist. With the data of what the user actually wants to purchase, you can make some seriously smart suggestions about what they might want also want to buy! Slightly murkier ground to tread, the checkout can be a perfect place to upsell and cross-sell by utilising ‘one time only’ discounts that they will never see again. The world’s second largest river and biggest eCommerce website, Amazon is the playground for many companies. A behemoth that has shaped the way eCommerce is approached, you’d be insane not to try and exploit the potential on offer. So you set up your shop, make some sales and everything’s fine. As any business owner worth their salt you’ll be asking yourself, “how can I make more?’”And in following up your question you may ask, “how am I going to optimise my content to establish a better SEO base for my products?” Well, you would if you were me. Unfortunately Amazon doesn’t offer anything natively, so you need a work around. Thankfully PracticalEcommerce’s blog on Amazon Keyword Research Tools gives you a whole host of smart little tips, tricks and tools to help you boost those search rankings and rake in the profits! Failing these steps you might as well throw your money at the next scam artist that emails you about miracle pills. But then what are your next steps? Magento’s ‘Best Practices For Ecommerce Product Pages’ is pretty invaluable resource for those of you who need to appraise your SEO situation. One of the biggest questions when it comes to abandoned carts is whether users simply didn’t want to buy in the first place. eMarketer says no! Do you really know what conversion optimisation is? And if so, are you approaching it with the right mentality? The answer is probably not. – Anticipate what your customers are looking for. – Give your website a personality. – Group products together to increase interest and cross-sells. – Make sure you are using quality photography that reflects your brand identity. – Ensure that your purchase process is simple and straightforward for the user! – Design the site for mobile devices! For more information, check out the Crazy Egg blog’s considerable piece on designing the perfect site. Speaking of eCommerce on mobile, Econsultancy’s latest blog on how to improve conversion on mobiles is an invaluable read too. And finally to everyone’s favourite, social media marketing with Facebook. Still one of the cheapest ways of advertising in print or online, the creation of a custom audience is invaluable in terms of segmentation and targeting. Allowing you to create campaigns aimed at users of your website based on their actions, it’s a re-targeter’s heaven. With access to the backend of your website, you need to set up a custom pixel! This is a snippet of code which will send Facebook data on what a user does on your website, creating an audience for you to retarget with advertising campaigns. So you’ve created an audience based on the 1,000 people that came to your site that were signed into Facebook. Great. Now you can advertise to them. But there’s a whole lot more. With Facebook custom audiences you can create audiences of tens or even hundreds of thousands of people whose digital behaviour, likes, shares and interactions are similar to those 1000 people who you already know are your target market. A full guide to setting this up can be found here. Well, that’s all for this week folks, I’m sure that ought to keep you busy for the next seven days. Until we meet again, stay sharp and stay in school!